Growing up in Virginia, summer barbeques were serious business and potato salad seemed to adorn every table. However, I always worried that mayonnaise sitting out in the hot southern sun might make people ill. This roasted summer salad with a light lemon caper vinaigrette is the perfect solution. It can be eaten at room temperature and can survive the some times brutal summer heat. Roast the vegetables ahead and keep the vinaigrette separate, then toss together upon arrival and the salad will stay crisp and fresh while you wait for the barbecue to cook. Wash all your vegetables and dry them well. Cut potatoes in half or in quarters depending on how large they are. Remove the woody end from the asparagus and cut into halves or thirds, depending on how large they are, on the diagonal. Add all vegetables to a sheet tray. Toss with about two tablespoons of olive oil and season liberally with salt and pepper. 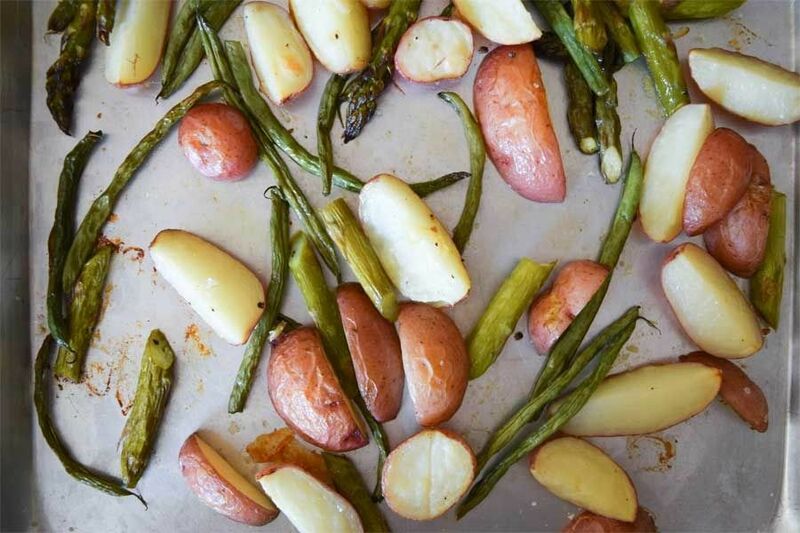 Place the vegetables in the oven and roast until the potatoes are fork tender and have browned slightly. Remove from oven and set aside to cool. To make the vinaigrette, place all the ingredients into a jar and shake vigorously. Place the vegetables in a large bowl and top with a little of the dressing, just enough to coat the salad. Garnish with a little more parsley before transferring to your serving dish and serving. 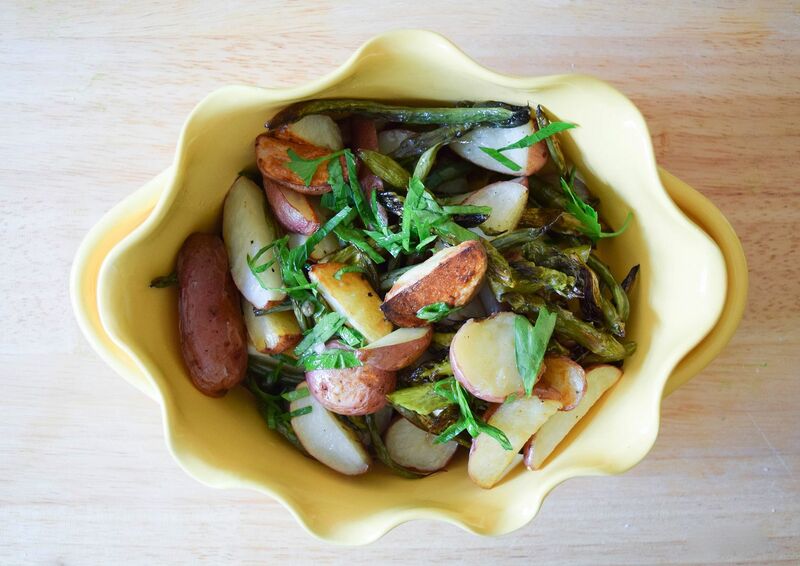 Click here for more recipes from Kaitlin Hill and the Farmer Owned Blog.